Where's all the good Italian in Portland? This is the question every New Yorker asks when they arrive here—every Chicagoan, every Bostonian or San Diegan, people from cities with a Little Italy that still matters. But we have nowhere to send them. Portland has no neighborhood centered on Italian culture and food, and few Italian spots with traditions older than 30 years. "It's scattered," says Mike Sciaraffo, spokesperson for Festa Italiana, August 24-26, in Portland's Pioneer Courthouse Square, celebrating Portland's Italian culture and history. "I like Piazza Italia in the Pearl, there's another one on Alberta called Enzo's Caffe Italiano. Last night I ate at a food cart on Division Street called Artigiano. But they're not clustered." Portlanders often will tell you it's not our fault, that we've never had a real Italian population like those cities. Except, of course, we did. In the first half of the 1900s, the zone surrounding what's now Portland State University might as well have been the Bronx. Between 1900 and 1910, the old South Portland's Italian-born population swelled from 1,000 to 5,000 Italians—most of whom were born in the old country. There was even an Italian-language newspaper called the Tribuna Italiana. South Portland stretched out along the west side of the river from Mill Street to the Vista Ridge Tunnels. "Little Italy flourished," says Kerry-Lynne Demarinis Brown, head of the Amici d'Italia group devoted to Portland Italian life. "It was not just Little Italy, it was also the Jewish Quarter. It was Jewish and Italian side by side." Near First Avenue and Sheridan Street there was a deli called Calisto and Halperin run together by Jewish and Italian owners. The restaurant scene was booming. The Rome Cafe served "Ravioli Daily!" across from City Hall, just down Fourth Avenue from the Fracassos' Prima Donna and Henry's Pizza restaurants. Italian bakers the Alessios were partners in The French Bakery on 2nd Avenue, before starting their own bakery across the river. Now only two true Italian monuments remain from those days: St. Michael the Archangel on Southwest 4th Avenue and the Caro Amico Italian Cafe on Southwest Barbur Boulevard, a red-sauce Italian spot with a back-patio view of the Willamette that opened in 1949 and claims to be the first pizzeria in Portland. If that isn't true, no restaurant survives to say different. But Caro Amico was far enough at the southern edge of Little Italy to escape redevelopment. In Old South Portland proper, Brown says, "St. Michael's is the only building still standing that maintains its original identity. The rest have changed hands." 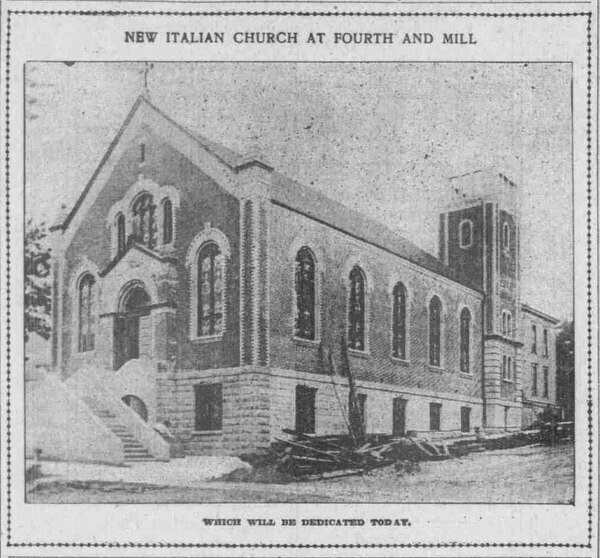 St. Michael's was the center of Italian Portland, built in 1902 by a process that should be familiar to current Portlanders. It was crowdsourced, raising $15,000 for its construction in less than four months, from recent immigrants who made only $30 or $40 a month. "It was always just known as La Chiesa—the church," Brown says. "St. Michael's became the center of Little Italy. Immigrants coming in knew they could go there and find people to help them with their documents. Ninety percent of Italians had family baptized or married there." 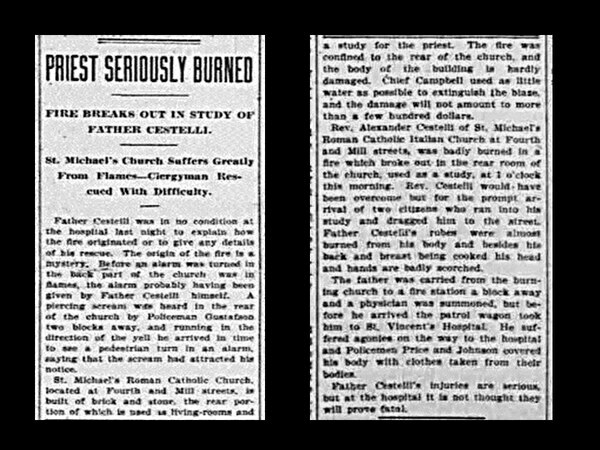 But the only surviving building in Little Italy was almost ruined by fire three years after it was built, in a blaze that destroyed the church's wooden rectory in 1905 and almost killed its founding priest. "Father Cestelli climbed up on the roof and started screaming that it was on fire," says Brown. "One of the nuns woke up and heard him yelling. The fire department was across the street, and they crawled up and rescued Cestelli." Little Italy's heyday in Portland was short-lived. "Little Italy continued to flourish till they built the bridges that went east," Brown says. 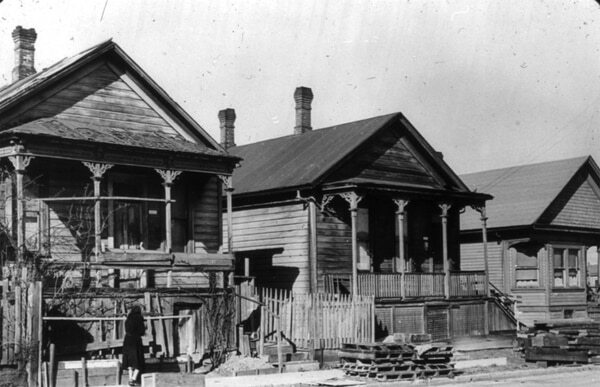 The Hawthorne went up in 1910, and the Ross Island in 1926. "It gave people an easy way to get across the river," she says. "They made some money, and the second generation went east and found land. 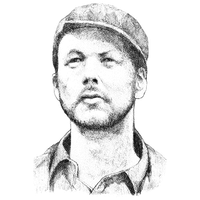 They started the truck farms that supplied restaurants around the city." 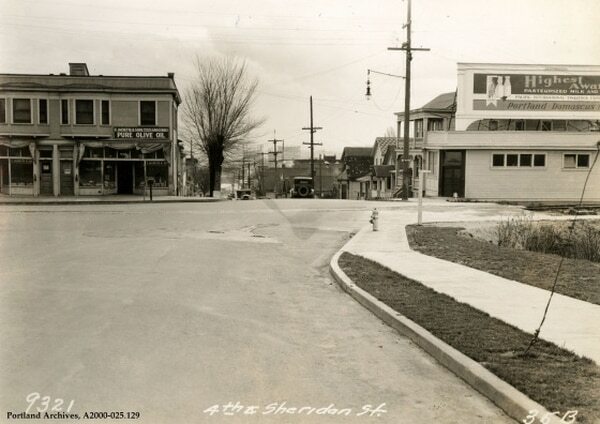 Much of the Italian community dispersed across Southeast Portland, founding farms on what's now Ladd's Addition, and produce spots like Rinella and Corno's—whose fruit cutouts now adorn Sheridan Fruit Co.—in the industrial warehouse district across the river. The most storied restaurants from that time, the Lido Restaurant and 1927-founded Monte Carlo, served authentic Italian food for decades on what's now the Belmont Goat Blocks. The one-time produce-market building was razed by a fire in 2002, and became a field full of goats. Sciaraffo says Little Italy's death was part of a natural progression. "My mother's father was from Italy, both my dad's parents. They came over to get a better life, like a lot of immigrants do," says Sciaraffo. "They worked hard, wanted their kids to have a better life—and all the kids, once they went to school, they got out of the neighborhood. The kids speak better English and off they go. Once the older folks disappeared, the neighborhood went with it." 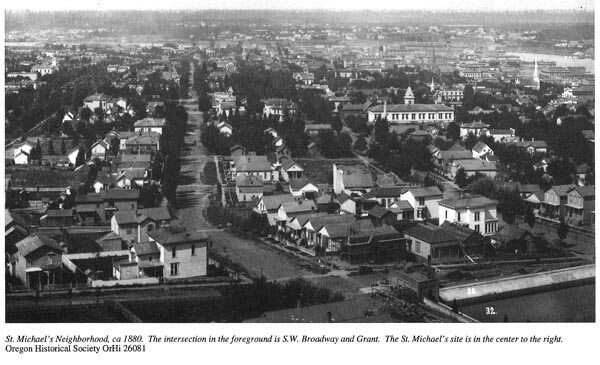 Portland's old Little Italy became a place for the low-income immigrants who stayed rooted next to St. Michael. The neighborhood began to deteriorate. 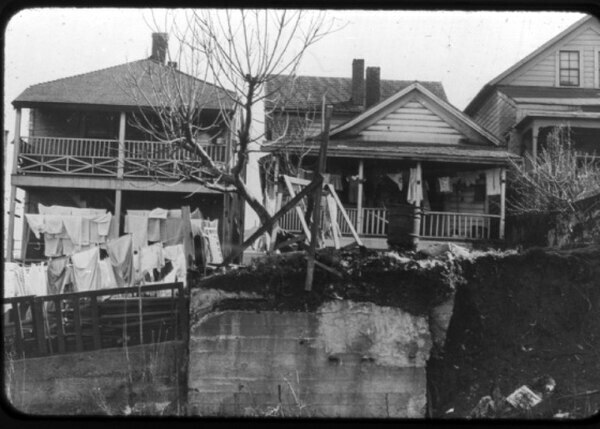 "The downtown area was embarrassed by this Southwest Portland area with run-down 1800s houses with laundry lines hanging out front," Brown says. "There was no garbage service, there were junk piles—where Duniway Park now is, there was a dump." While Little Italys are slowly dying all over the country, in Portland's case it was murder. At the very least, it was assisted suicide. It took only four years to wipe Little Italy from the Portland map. 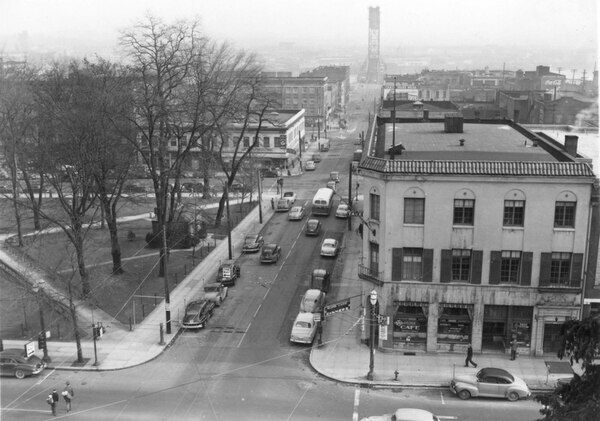 "They started what they called the urban renewal project. They did what cities do: They paid as little as possible to move them all out," Brown says. "It started in 1958. By 1962, the area looked like the Hiroshima bomb had gone off. All of the buildings were gone." In large tracts of Jewish-Italian South Portland, almost every building was torn down. 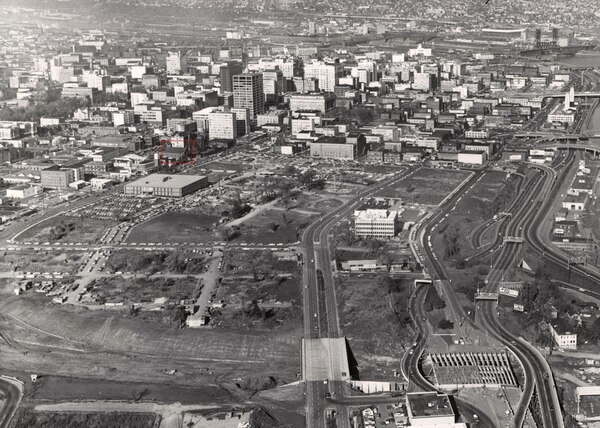 It was the pilot project of a 1955 mayor's advisory committee who also recommended replacing acres of "blighted," predominantly black neighborhoods along Martin Luther King Jr. with what's now Memorial Coliseum and the Rose Quarter. A new agency was formed to steward the revitalization of the city: the Portland Development Commission. About 1,500 people were displaced by the South Portland renewal project, and Portland's old Italian culture survives in cultural associations like Amici d'Italia and the Italian Benvenuti Club. The Festa Italiana was begun, Sciaraffo says, to shore up the scattered Italian culture that still exists. Sciaraffo says a lot of second-generation Italian families moved off into the suburbs, a story familiar to many immigrant communities. "The simplest answer," he says, "is that they became Italian Americans." Brown has a different answer. "You can blame City Hall," she says. 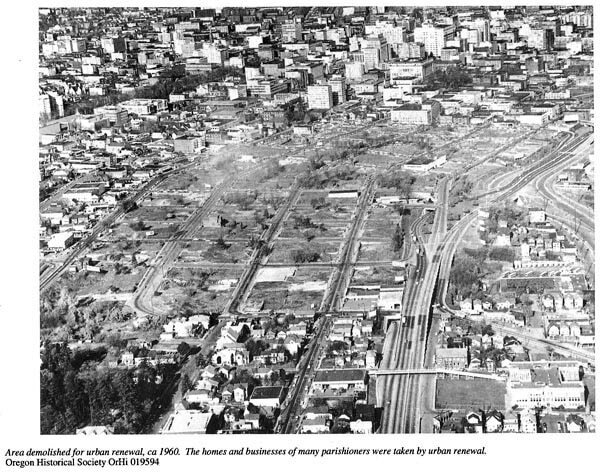 "For the elderly property owners, especially the Jewish and Italian families, the carrying out of the [urban renewal] project also meant the end of a neighborhood," wrote the PDC's Joy O'Brien in a 1971 report on urban renewal. 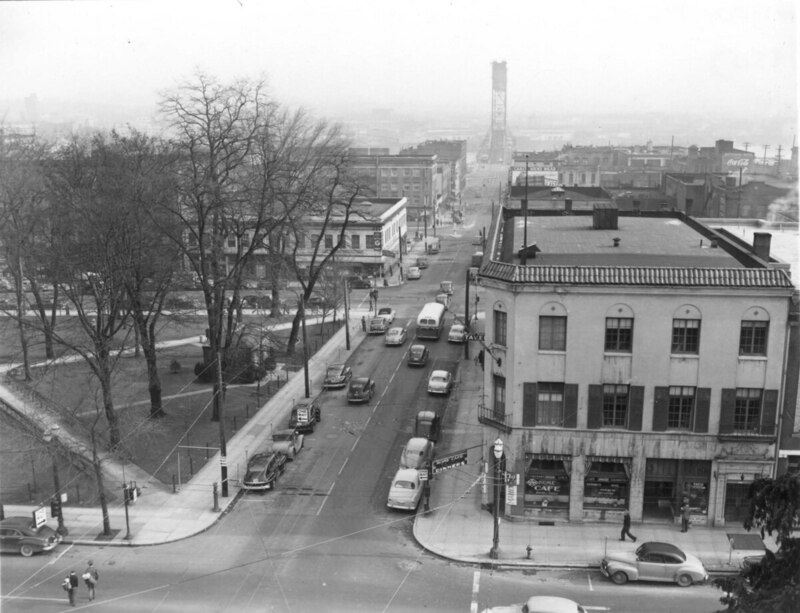 "True, the dissolution had begun long before urban renewal planning began, but 'South Portland' was still home—a familiar spot in a changing city and an unstable world." "When I look back at it, I think we were living in a ghetto," Little-Italy-born Dario Raschio told the Catholic Sentinel in 2005, describing his childhood jumping off parked rail cars onto straw, dirt or hot industrial ash. "But we didn't know it then. It was our place." Festa Italiana will offer Italian food, music (including opera) and movies August 24-26 in Pioneer Courthouse. Square, 701 SW 6th Ave., festa-italiana.org. 11 am-11 pm.